Traditional China’s religious imagination has been one of the world’s most creative. Daoists, Buddhists, Confucians and followers of folk religions cooked up more gods than Shanghai’s skyscrapers could hold. But China’s many faiths share a common Chinese sensibility. A very rich world-view permeates them. A pagoda in a courtyard of Xi’an’s Great Mosque is pictured above. 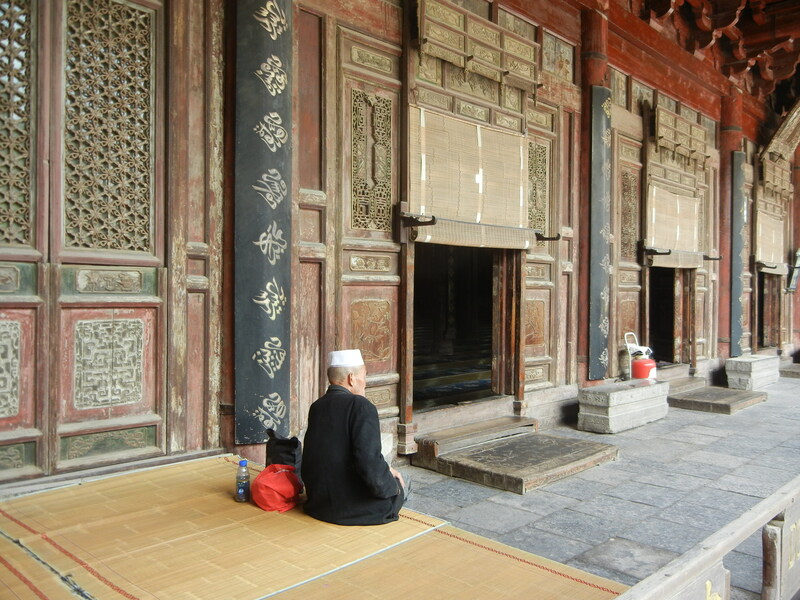 This is China’s most famous mosque, and some of it was built over 1,000 years ago (though most buildings today are from the Ming and Qing dynasties). Yet its architecture follows many of the basic patterns in Chinese domestic architecture and civic architecture. It’s a rectangular serious of courtyards that’s oriented to the 4 directions. 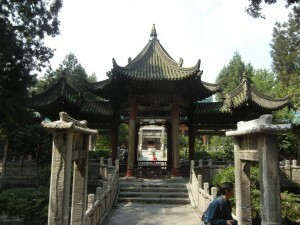 The pavilion above is closer to Xi’an’s Great Mosque’s prayer hall. 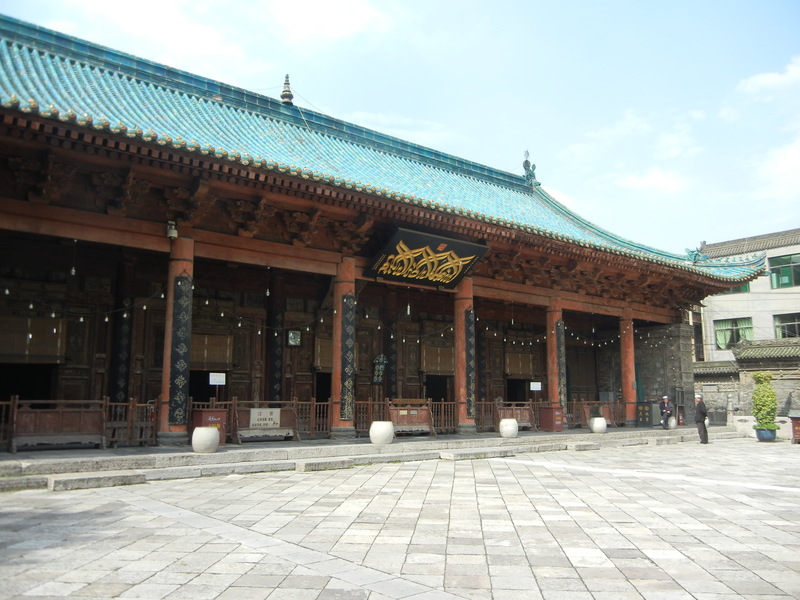 Like the larger hutongs (traditional Chinese homes), the Great Mosque has multiple courtyards that take you progressively closer to the main hall. Though Islam is supposed to be egalitarian (all are equal under Allah), this hierarchical arrangement of courtyards reflects older Confucian relationships–as you get closer to the main hall, you approach the space of the dude in charge. 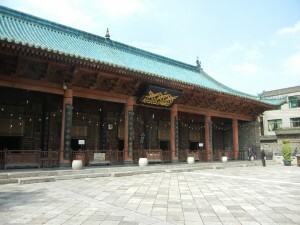 Above, is the main prayer hall, which looks quite like the main hall in Chinese palaces. But Islam in China does keep its integrity. 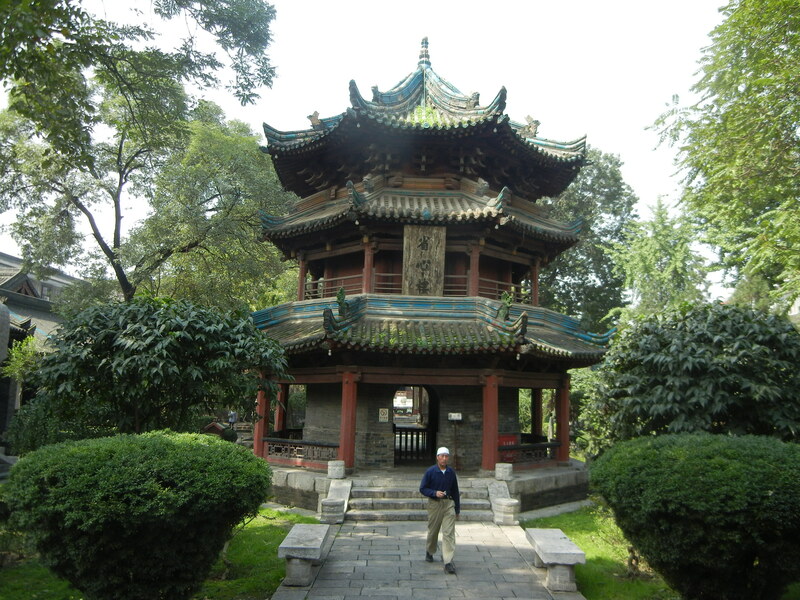 The pagoda in the first photo is used as the central minaret–all believers are called to prayer from this central location. So, both Islamic and Chinese cultures blend–all of Allah’s followers are told to worship as equals from this traditional Chinese architectural form. 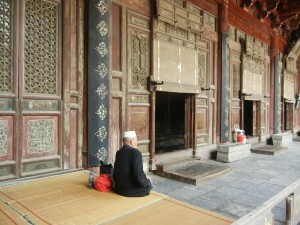 And the prayer hall is used for traditional Islamic prayer, rather than ceremonial wine drinking. But Chinese culture is so strong–its patterns have been established in so many media for so long–that its forms blend with Islam. They mix with the other religions too. We’ll examine the depths of Chinese sensibilities which many religions in China share in the next post.